Grease an 8-inch (20 cm) square pan. Toss cubed bread with melted butter in a large bowl. In another bowl, whisk pumpkin, brown sugar, maple syrup, cinnamon and salt. Whisk eggs and milk into pumpkin mixture. Stir and let sit for 15 minutes to soak in. Stir in grated cheese and pecan pieces, and pour into prepared dish. Cover dish with parchment paper, then foil, and bake for 50 minutes. Remove cover and sprinkle with extra cheese and pecan pieces. Bake for 10 to 15 minutes more, until centre springs back when pressed. 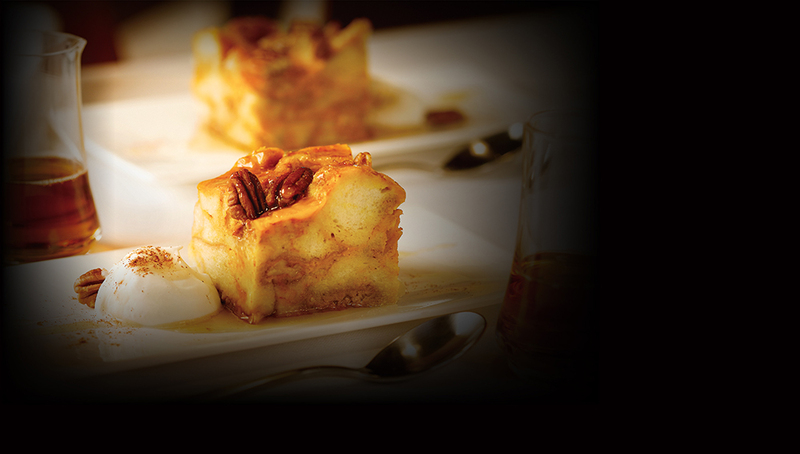 Let bread pudding cool for 15 minutes before serving.